Kineo turns 100 months old this month, with 100 newsletters under our belts and loads of client projects and industry lauds. Check out the journey we've been on since 2005! These are my slides from my session yesterday at Learning Solutions here in Orlando: Top Tips for Writing Better ELearning Scripts. Want more top tips? Check out the top tips page on the Kineo website! Some weird formatting things happened when I converted this from Keynote to PPT and then uploaded to Slideshare. Please forgive me! These are my live blogged notes from a session at the eLearning Guild’s Learning Solutions 2014, happening this week in Orlando, Florida. Forgive me any typos or incoherence. Will Thalheimer, PhD. Will at Work Learning. Every year Will reads over 200 articles on learning and learning research. He's been talking about subscription learning--moving away from single learning events to provide experiences that ensure better retention and on the job application. Research tells us that if we surface a learner’s prior knowledge, they will learn more deeply. What does it mean to subscribe to a magazine? A subscription model—nuggets of learning that are five minutes or less, over time. During Learning/After Learning -- if people start at one point, ramp up through the learning process, and then end up only slightly ahead of where they started -- have we maximized learning? We better design learning and include after learning follow-up. Research -- repetition works! The more we repeat, the better. (Example: low volume hospital has more cancer deaths in surgery - the more we do things, the better we get). Repetition is better when the same learning content is in a slightly different form -- flip things around more. By switching the words around you can more the double the learning impact. Why is repetition so powerful? Helps us absorb what we missed earlier. It strengthens and enriches what we know. "The spacing effect is one of the oldest and best documented phenomena in the history of learning and memory research." (Research -- he cited the author but I missed it). So why don't we use it more often? Widely spaced repletion can provide the best retention results. Over time we get gradually better. Ethical moments -- simulations and spaced experiences to keep people above the retrieval threshold. (Dr. JC Kinnamon). During initial learning -- when we give people non-spaced learning, it LOOKS like they get it better. But if, on day 3, the learning was actually spaced--they retained it better 3 days later. Use delayed emails (this is easy to set up in Outlook). Send out a question in the email -- then send the answer the next day. Duolingo -- a subscription learning app won Apple's App of the Year. 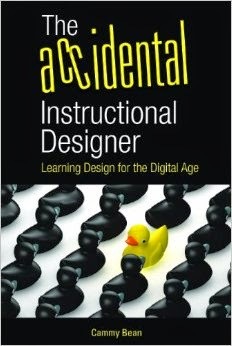 Of course, good instructional design still counts in subscription learning. "This won't work. I need proof they've taken the course!" You can provide a test -- give them a subscription learning thread and then give them an authentic test to "prove". What if the subscription learning materials "comes out" of the CEO's office. How to get good at subscription learning? Try it out! Use different approaches. Get feedback, then improve. "Just because people are resistant, doesn't mean you should give up." These are my live blogged notes for the opening keynote at the eLearning Guild’s Learning Solutions 2014, happening this week in Orlando, Florida. Forgive me any typos or incoherence. Soren Kaplan, Redefining Innovation: Harness the power of surprise for business breakthroughs. So how do we create breakthrough innovations? 1. Rethink your role. Instead of a lawyer billing by the 6 minute increment, bill by how quickly they can resolve the case. Give them a different incentive. Understand what business you’re really in. A drill company is in the hole business. What business are YOU in? eLearning, training, education, professional dev? How do you think about what you’re providing. Maybe there’s a different way to think about what you’re doing. 2. Fall in love with problems, not solutions. E.g., the guy who founded Open Table had a different solution at first. But he redefined the solution based on the problems that he learned restaurants had (they didn’t know WHO was at their restaurant – and so now Open Table is really a back end CRM). Solve a problem, don’t fall in love with your solution. What business problems are YOU solving? Hint: the answer isn’t “learning”. It’s probably something else. Learning is a way, perhaps, of addressing the real business problem. 3. Go outside to stretch the inside. Surprise yourself and your team to come up with insights that will surprise other people. You need to disengage your auto pilot. Kaplan went out to research his book and looked for books with the words “Surprise” in the title. All the business books were about eliminating surprises, No surprise. InNOvation. We need an element of surprise and uncertainty in order to innovate. Intuit (the makers of QuickBooks which completely disrupted the small business accounting market) – have an official company value: “Savor Surprise”. The innovation wall of fame. Not just product innovation. But HR: Immersive college recruiting. Deep customer empathy, go broader to go narrow, rapid experiments with customers. Test and learn as you go. Atlassian has FedExDays – you can take the day off but you have to deliver something of value overnight. Coke hired people from Xbox to bring in new perspectives. You have to try new things and be OK with looking a little stupid sometimes. The idea behind innovation – we try things out, we experiment, we learn something (it’s not failure), and we move on. We get comfortable with ambiguity and uncertainty. WD-40 -- 39 failures to get to one big breakthrough. For the first two years, Wikipedia had 24 entries (they had a seven step review process!) -- so they decided to open it up instead. The iPhone was 3 years in development (an eternity in technology). The fact that it snowed this week and my yard remains a frozen tundra makes next week's journey to sunny Orlando for the eLearning Guild's Learning Solutions 2014 conference all the sweeter. I'm running my third edition of The Accidental Instructional Designer full day pre-con Certificate Program from 8:30-4:30. I'm sure it's not too late to secure a spot if you can't stand the thought of missing out on a day of conversation and exploration of the e-learning landscape. 2:15-3:15 Top Tips for Writing Better eLearning Script I'm really excited for this session, and not just because I used American Typewriter font for my slides. Crafting a compelling e-learning script requires a lot more than just slapping text bullets on a screen. Join me in what I hope will be a lively discussion and one that will give practical ideas you can start using in your next project. 4:00-4:45 Finds me at the Technology Learning Stage. I'll be talking about Adapt, the new open source responsive eLearning authoring tool. Come hear what it's all about, check out loads of examples, and learn how you can get involved in the growing Adapt community. 11:45 I'll be hosting a lunch table as part of this year's Docent program. Topic: Instructional Design and whatever else people want to talk about. The Guild started the Docent program at last year's DevLearn and it was a big hit. 2:00 Join me and Gary Droghini from Coats as we weave a thrilling tale about blended learning and partnership: Blended Threads: Global Leadership Training at Coats. Coats is the world's leading manufacturer of threads. In fact, you're most likely wearing something with their threads in them right now. Find out how Coats, in partnership with Kineo and the Oxford Group, created a multi-year blended program to up skill front line and middle manager on core leadership skills. Not at the conference? The backchannel will be active, so follow along with #LSCon. I'll be taking notes and sharing my resources so keep your eye here for more to come. Find out more about Learning Solutions.